Hydraulic Generator converts the hydraulic power of any construction and earth moving machine into electricity. With HG, electricity is available for tools, lights, welders, pumps, concrete mixers, heaters, battery chargers, etc. Hydraulic Welding Generator converts the hydraulic power of any construction and earth moving machine into welding current for on-site repairs and other welding jobs. It also produces electricity for angle grinders and other electric tools. Hydraulic Power Washer converts the hydraulic power of any construction and earth moving machine into high pressure water. Power washing and other high pressure water applications have never been this easy. HPW-DUST High Pressure Dust Suppression is the most advanced system for dust control e.g. in construction sites. HPW-DUST converts the hydraulic power of any construction and earth moving machine into atomized High pressure water mist and provides targeted spray on dust emitting areas. Hydraulic Submersible Pump is designed for fast and efficient pumping of water and other liquids. Powered by hydraulics with durable and robust structure, the HSP turns any construction and earthmoving machine into high capacity pumping unit. Hydraulic compressor converts the hydraulic power of any construction and earth moving vehicle into compressed air. With HK, your vehicle is always ready for pneumatic tools, cleaning and other compressed air applications. Hydraulic compressor converts the hydraulic power of any construction and earth moving vehicle into compressed air. With HKR, your vehicle is always ready for pneumatic tools, cleaning and other compressed air applications. Hydraulic compressor converts the hydraulic power of any construction and earth moving vehicle into compressed air. With HKL, your vehicle is always ready for pneumatic tools, cleaning and other compressed air applications. Hydraulic Vibra converts the hydraulic power of an excavator into vibration for a bucket or other attachment. The vibra can be used for enhancing excavation, emptying a bucket, compacting soil, pile driving, asphalt cutting etc. Hydraulic Directional Vibra converts the hydraulic power of a mobile machine into vibration for enhance emptying buckets, containers, truck’s bed etc. Hydraulic generator converts the hydraulic power of any drilling rig, mining or quarry machine into electricity. With HG, electricity is available for various tools, lights, welders, pumps, etc. Hydraulic Welding Generator converts the hydraulic power of any drilling rig, mining or quarry machine and vehicles into welding current for on-site repairs, welding of pipes, sheet metal, etc. It also produces electricity for angle grinders and other electric tools. Hydraulic Power Washer converts the hydraulic power of any recycling and demolition machine into high pressure water. Power washing and other high pressure water applications have never been this easy. Great for cleaning concrete and other machines, hydro demolition, hydro scaling and cleaning in tunnels. High Pressure Dust Suppression is the most advanced system for dust control in tunnels and quarry sites. HPW-DUST converts the hydraulic power of any machine into atomized high pressure water mist and provides targeted spray on dust emitting areas. Great for all drilling heads and surfaces, conveyors and all dust suppression applications on quarry site. Hydraulic Drilling Fluid Pump converts the hydraulic power of the drilling machine into pumping power of drilling fluids. Abrasive resistant HDF pumps work also with bentonite and polymer fluids. Hydraulic submersible pump is designed for fast and efficient pumping of water and other liquids. Hydraulic compressor converts the hydraulic power of any drilling rig, mining or quarry vehicle into compressed air. With HK, your vehicle is always ready for air flushing, to use pneumatic tools, cleaning and other compressed air applications. Hydraulic compressor converts the hydraulic power of any drilling rig, mining or quarry vehicle into compressed air. With HKR, your vehicle is always ready for air flushing, to use pneumatic tools, cleaning and other compressed air applications. Hydraulic compressor converts the hydraulic power of any drilling rig, mining or quarry vehicle into compressed air. With HKL, your vehicle is always ready for air flushing, to use pneumatic tools, cleaning and other compressed air applications. Hydraulic Expansion Unit uses the hydraulic power of a mining machine for rock bolt expansion. Hydraulic Grinder converts the hydraulic power of a drilling rig into power for the grinder. It can be used for sharpening tools, drills etc. 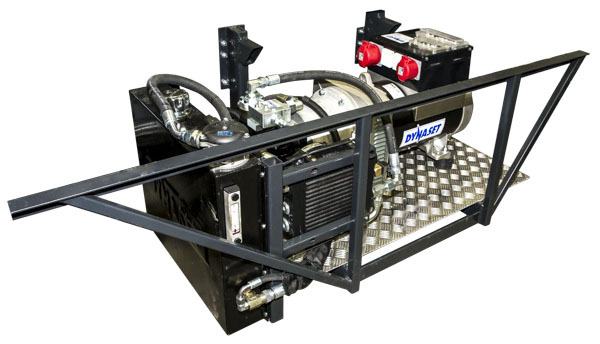 Hydraulic Power Unit produces hydraulic power anywhere you need. Standalone HPU units are powered by gasoline, diesel or electric motors. 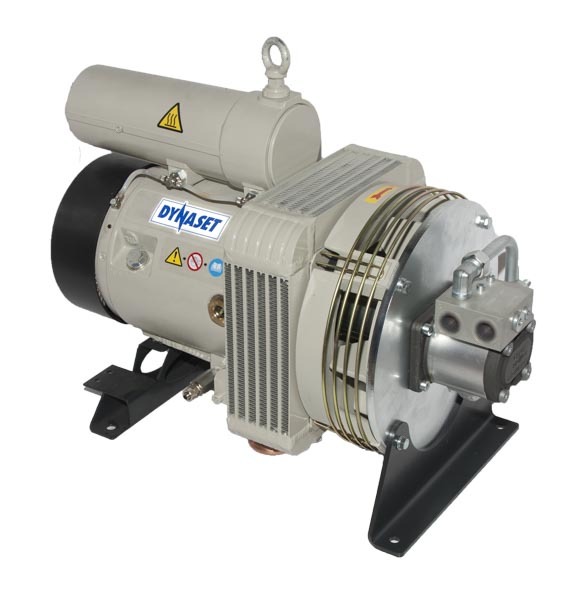 Power source is connected to powerful Dynaset hydraulic pumps to produce hydraulic power for all hydraulic applications on land, sea and air. Hydraulic Generator converts the hydraulic power of any recycling and demolition machine into electricity. With HG, electricity is available for various tools, lights, welders etc. Hydraulic Power Washer converts the hydraulic power of any recycling and demolition machine into high pressure water. Great for Power washing and other high pressure water applications like hydro demolition of concrete, asphalt, insulation etc. High Pressure Dust Suppression is the most advanced system for all work sites. The system converts the hydraulic power of any machine into atomized high pressure water mist and provides targeted spray on dust emitting areas. Great for demolition machines and crushers. The high pressure water mist prevents dust from spreading into the environment. It doesn’t water the worksite as low pressure water does. The system uses a minimal amount of water. Hydraulic compressor converts the hydraulic power of any recycling and demolition machine into compressed air. With HK, your machine is always ready to use pneumatic tools, drilling, cleaning and other compressed air applications. Hydraulic compressor converts the hydraulic power of any recycling and demolition machine into compressed air. With HKR, your machine is always ready to use pneumatic tools, drilling, cleaning and other compressed air applications. Hydraulic compressor converts the hydraulic power of any recycling and demolition machine into compressed air. With HKL, your machine is always ready to use pneumatic tools, drilling, cleaning and other compressed air applications. Hydraulic Magnet Generator converts the hydraulic power of a recycling and demolition machine into power for a lifting magnet. The compact and powerful magnet generator provides the world’s fastest demagnetizing time of 0.8s. 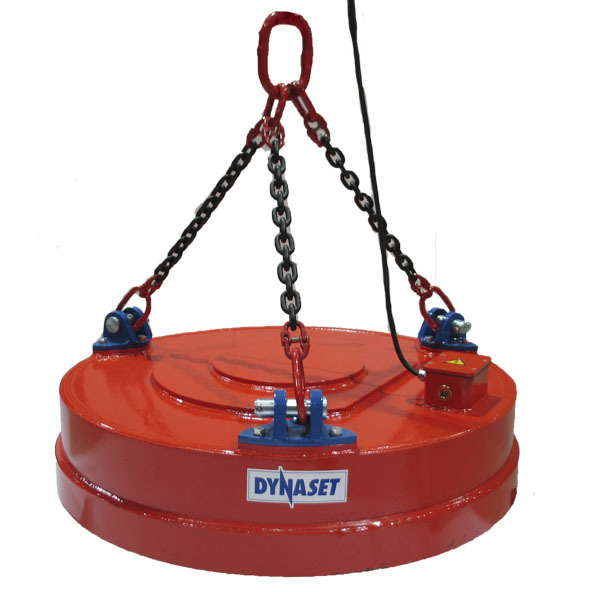 DYNASET has a selection of high quality lifting magnets for scrap handling, recycling etc. 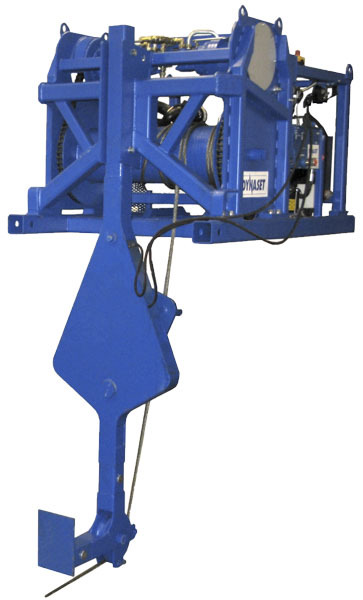 We also provide assistance for choosing the correct lifting magnet for a HMG Hydraulic Magnet Generator. Hydraulic Magnet is a combined unit of lifting magnet and power supply. HMAG is connected to machines hydraulic circuit with hydraulic hoses. It is a true plug-and-play attachment for all metal scrap cleaning, sorting and recycling applications. 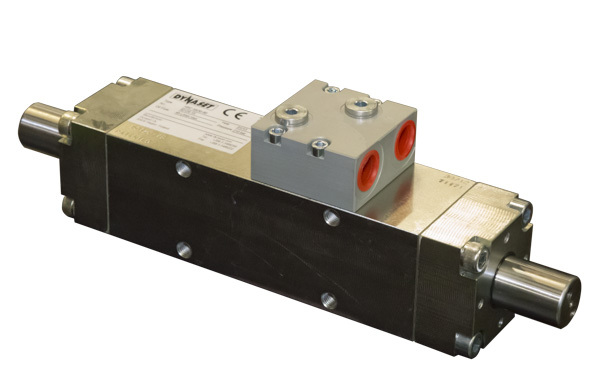 HPIC Hydraulic Pressure Intensifier is a power booster for hydraulic cylinders. It significantly increases the cylinders force momentarily. It automatically senses the need for intensifying pressure like in crushers to provide power boosting. A must-have equipment for crushers and powering other tools such as hydraulic wedges and cutting tools. 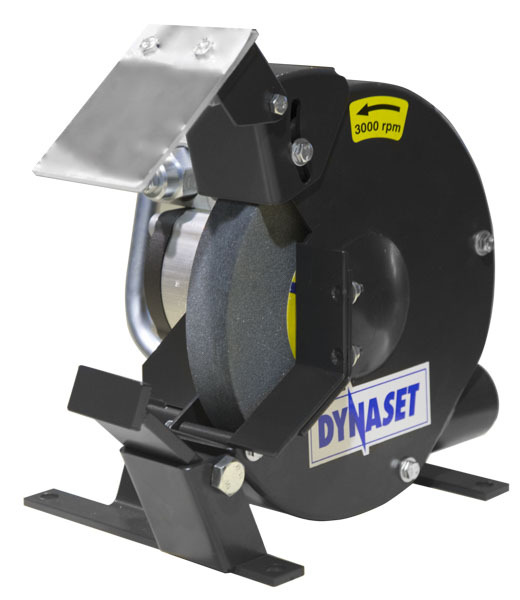 Greatly increases the potential of smaller crushers and tools. HVG POWER BOX is an all-in-one system which utilizes the engine power of a truck, boat or other vehicles to produce electricity. 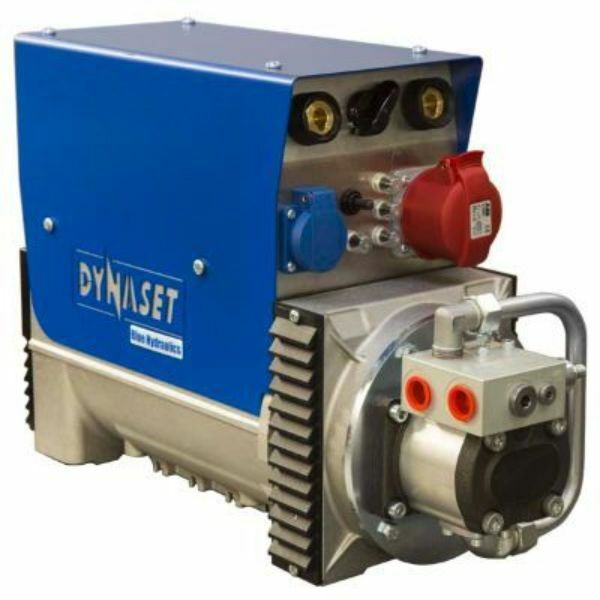 The PTO provides vehicle's engine power for Dynaset High Speed Hydraulic Pump which operates smoothly on a wide RPM range, from idle to full speed. There are numerous HGV applications such as container transport, heating, cooling, powering electric tools, lights, etc. HVG System utilizes the engine power of a truck, boat or other vehicles to produce electricity. 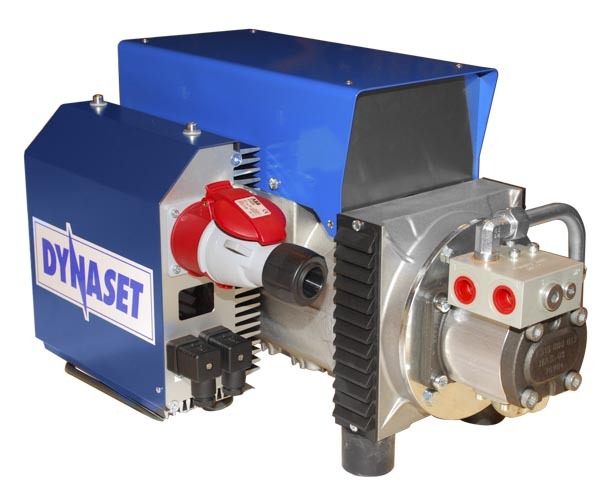 The PTO provides vehicle's engine power for Dynaset High Speed Hydraulic Pump which operates smoothly on a wide RPM range, from idle to full speed. There are numerous HGV applications such as container transport, heating, cooling, powering electric tools, lights, etc. Hydraulic Generator converts the hydraulic power of a truck, boat or other vehicles into electricity. Electricity is available for tools, lights, welders, pumps, heaters, battery chargers, etc. Hydraulic ground power generator converts the hydraulic power of a tractor or other mobile machine into 28.5V DC-current for aircrafts' electrical systems during their stay at the airport. Also great for boats and ships where ground power is also required. Hydraulic power washer converts the hydraulic power of a boat or any vehicle into high pressure water for pressure washing and multiple applications. Hydraulic compressor converts the hydraulic power of a truck or other vehicle into compressed air for pneumatic tools and other compressed air applications. Hydraulic magnet is a combined unit of lifting magnet and power supply. 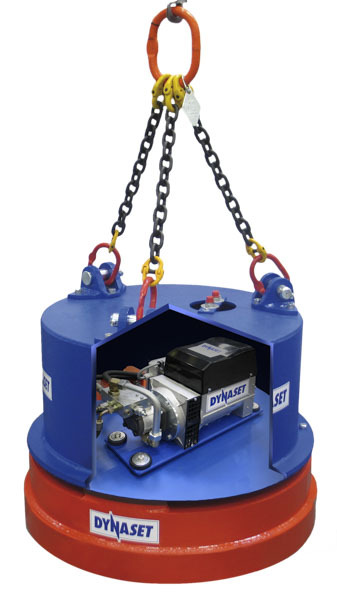 In addition to lifting magnet, a steel cover conceals the hydraulic magnet generator. HMAG is connected to a truck's or a material handler's hydraulic circuit with hydraulic hoses. It is a true plug-and-play attachment. Hydraulic power take-off (PTO) takes power out of a truck's engine to hydraulic pump. 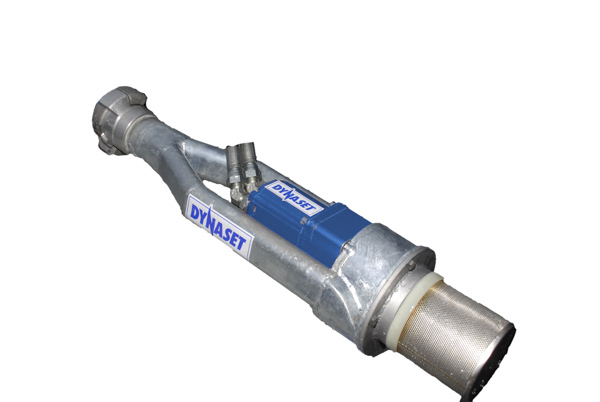 Dynaset provides all required components as ready to install kits for factory type PTO and also for other standard trucks. 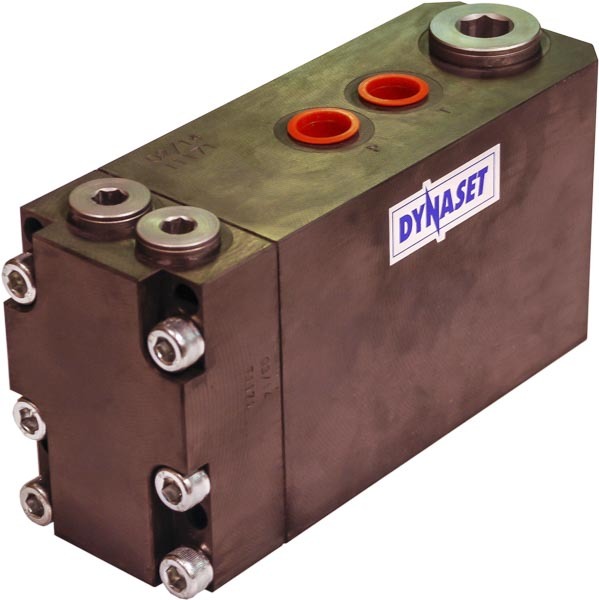 DYNASET provides all the neccessary installation valves for integrating hydraulic equipment on trucks, vehicles and all mobile machinery. 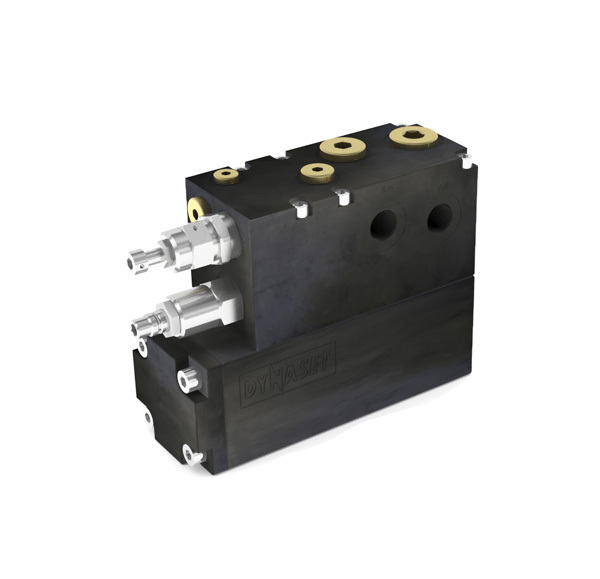 Hydraulic modular valve system allows easier installation and operation of multiple hydraulic equipment. 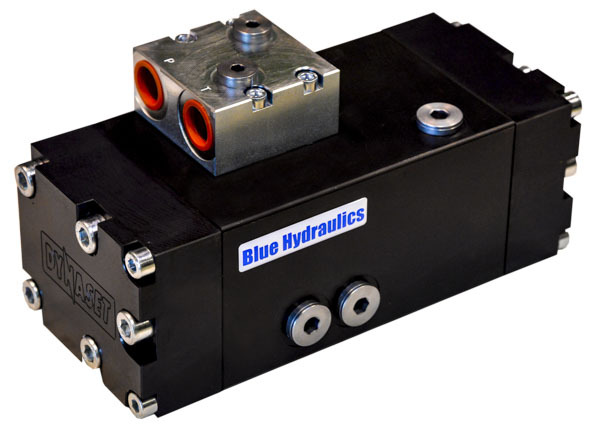 Hydraulic Power Unit produces hydraulic power anywhere you need. The standalone unit is powered by a gasoline, a diesel or an electric motor. 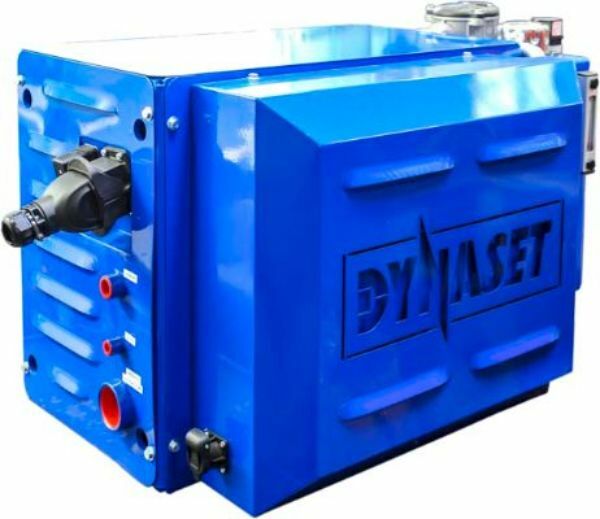 The power source is connected to powerful Dynaset hydraulic pumps to produce hydraulic power for all hydraulic applications on land, sea and air. Hydraulic Generator converts the hydraulic power of any machine into electricity. With HG, electricity is available for various tools, lights, welders, pumps, cutting applications, etc. Hydraulic Welding Generator converts the hydraulic power of any machine into welding current for on-site repairs, welding of pipes, pipe casings, sheet metal, etc. It also produces electricity for angle grinders and other electric tools. Hydraulic Power Washer converts the hydraulic power of any machine into high pressure water. Power washing and other high pressure water applications have never been this easy. Powerful, compact and efficient Street Washing Unit is a perfect attachment for all street cleaning jobs. Powered by hydraulics with wide selection of quick couplings for easy installation for various machines. 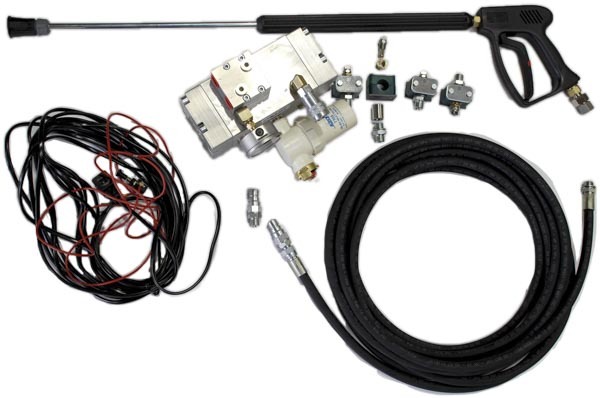 The unit includes a washing pistol for all power washing applications. High Pressure Pipe Cleaning Unit converts the hydraulic power of a truck into high pressure water. High pressure water jets clears blockages, cleans pipelines, drains, sewers, storm drains, culverts and can be used for de-icing, flushing etc. A water pistol with an additional hose reel allow to clean the truck and equipment. Hydraulic Submersible Pump is designed for fast and efficient pumping of water and other liquids. Powered by hydraulics with durable and robust structure, HSP turns any vehicle into high capacity pumping unit. Hydraulic Magnet is a combined unit of lifting magnet and power supply. 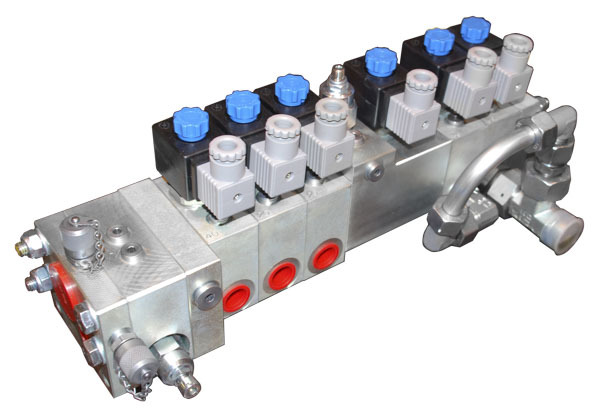 HMAG is connected to machines hydraulic circuit with hydraulic hoses. It is a true plug-and-play attachment for all metal scrap cleaning, sorting and recycling applications. Great for cleaning railway tracks and railway construction sites. Hydraulic Vibra converts the hydraulic power of an excavator into vibration for a bucket and other attachments. The vibra can be used for enhancing excavation, emptying a bucket, compacting soil, pile driving, asphalt cutting etc. Hydraulic Directional Vibra converts the hydraulic power of an mobile machine into vibration for a hydraulic vibrating compactor which is an effective attachment for compacting soil. 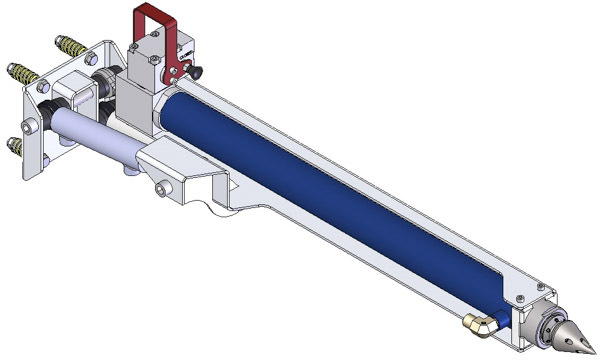 Hydraulic reversal cylinder converts the hydraulic power of an excavator into fast, linear oscillating movement. It can be used for harvesting rail road track environment. HV Hydraulic Winch and HVY Winch Unit are built for installing gas, sewage and other underground pipelines without digging. Powered either by the hydraulics of the vehicle (HV) or completely by its own (HVY). Hydraulic generator converts the hydraulic power of any service and maintenance vehicle into electricity. With HG, electricity is available for tools, lights, welders, pumps, heaters, battery chargers etc. Hydraulic Welding Generator converts the hydraulic power of any maintenance vehicle into welding current for on-site repairs, welding of pipes, pipe casings, sheet metal, etc. It also produces electricity for angle grinders and other electric tools. Hydraulic Power Washer converts the hydraulic power of any maintenance vehicle into high pressure water. Great for power washing and other high pressure water applications like paint removal hydrodemolition of concrete, asphalt, insulation etc. Powerful, compact and efficient Street Washing Unit is a perfect attachment for all street cleaning jobs. Powered by hydraulics with a wide selection of quick couplings for easy installation for various machines. 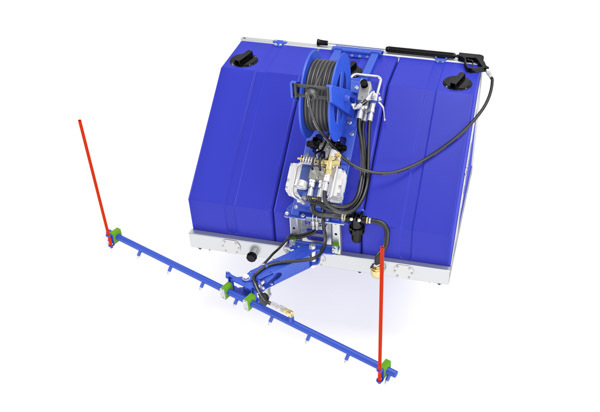 The unit includes a washing pistol for all power washing applications. High Pressure Pipe Cleaning Unit converts the hydraulic power of a vehicle into high pressure water. High pressure water jets clear blockages, clean pipelines, drains, sewers, storm drains, culverts and can be used for de-icing, flushing etc. A water pistol with an additional hose reel allows to clean the vehicle and equipment. Hydraulic Power Take-off (PTO) takes power out of a truck’s or a van’s engine to power hydraulic system for hydraulic equipment and tools. HPTO uses its own patented belt drive mechanism for power take-off from engine to hydraulic pump. 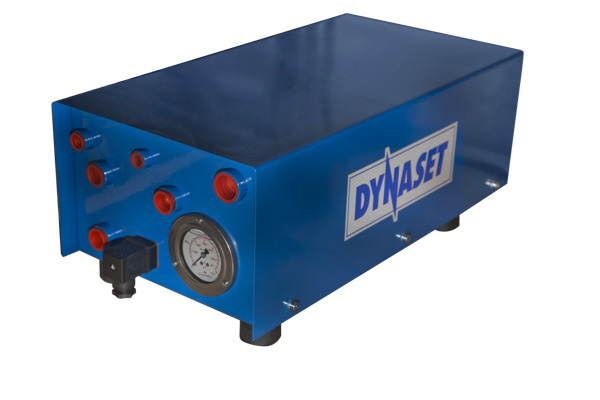 DYNASET provides all the necessary installation valves for integrating hydraulic equipment on vehicles and all mobile machinery. HV Hydraulic Winch and HVY Winch Unit is built for installing gas, sewage and other underground pipelines without digging. Powered either by the hydraulics of the vehicle (HV) or completely by its own (HVY). Hydraulic Generator converts the hydraulic power of any municipal or service vehicle into electricity. Electricity for tools, lights, welding, pumping, heaters, battery chargers, etc. Hydraulic Power Washer converts the hydraulic power of any municipal or service vehicle into high pressure water. The power washer is always aboard with your vehicle. Runs without electricity. Excellent for roof washing, common area cleaning and pressure washing. Powerful, compact and efficient Street Washing Unit is a perfect attachment for street and parking lot cleaning. Powered by hydraulics and a wide selection of quick couplings for easy installation on various machines. The unit includes a washing pistol for power washing. High Pressure Pipe Cleaning Unit converts the hydraulic power of a municipal or service vehicle into high pressure water. High pressure water jets clear blockages, clean pipelines, drains, sewers, storm drains, culverts and can be used for de-icing, flushing etc. A water pistol with an additional hose reel allow to clean the vehicle and equipment. Hydraulic Submersible Pump is designed for fast and efficient pumping of water and other liquids. Powered by hydraulics, robust structure and durable. Great dewatering pump for cesspools, flooding etc. Hydraulic Directional Vibra converts the hydraulic power of a mobile machine into vibration to enhance emptying a loader’s bucket and a street sweeper’s container. Hydraulic generator converts the hydraulic power of a forestry machine into electricity. Electricity for tools, lights, welding, pumping, cutting, etc. Hydraulic welding generator converts the hydraulic power of a forestry machine into welding current for on-site repair of wearing parts, welding of pipes, pipe casings, sheet metal, etc. It also produces electricity for angle grinders and other electric tools. Hydraulic Power Washer converts the hydraulic power of any machine into high pressure water. Power washer and other high pressure water applications always aboard and ready to use. Powerful, compact and efficient Street Washing Unit is a perfect attachment for mini loaders and tractors. The unit is powered by hydraulics. There is a wide selection of quick couplings for attaching it to various machines. The unit includes a washing pistol for power washing. Great for cleaning sheds, barn houses and other facilities. 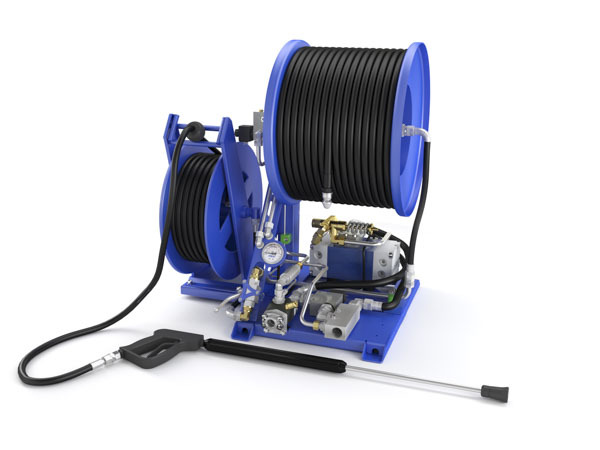 High Pressure Pipe Cleaning Unit converts the hydraulic power of a mobile machine or vehicle into high pressure water. High pressure water jets clear blockages, clean pipelines, drains, sewers, storm drains, culverts and can be used for de-icing, flushing etc. A water pistol with an additional hose reel allow to clean the machine and equipment. Hydraulic Submersible Pump is designed for fast and efficient pumping of water and other liquids. Powered by the machine's hydraulics with durable and robust structure, the HSP turns any machine into high capacity pumping unit. Hydraulic compressor converts the hydraulic power of any agriculture or forestry machine into compressed air. With HK, your machine is always ready to use pneumatic tools, cleaning and other compressed air applications. Hydraulic compressor converts the hydraulic power of any agriculture or forestry machine into compressed air. With HKR, your machine is always ready to use pneumatic tools, cleaning and other compressed air applications. Hydraulic compressor converts the hydraulic power of any agriculture or forestry machine into compressed air. With HKL, your machine is always ready to use pneumatic tools, cleaning and other compressed air applications. Hydraulic Grinder converts the hydraulic power of a machine into power for the grinder. It is excellent for sharpening tools, drill bits etc. Hydraulic Power Washer converts the hydraulic power of any vehicle into high pressure water. Power washing and other high pressure water applications increase the utility value of the machine. Hydraulic Submersible Pump is designed for fast and efficient pumping of water and other liquids. It is powered by the hydraulics of a machine or a vehicle. The pump is durable and it has robust structure. Powerful, compact and efficient Street Washing Unit is a perfect attachment for all street cleaning. The unit is powered by hydraulics. Wide selection of quick couplings makes it easy to attach on various machines. The unit includes a washing pistol for power washing. Use it on loaders, mini loaders, tractors, trucks, street sweepers etc. High Pressure Dust Suppression is the most advanced system for dust control. HPW-DUST converts the hydraulic power of any machine into atomized high pressure water mist and provides targeted spray on dust emitting areas. Great for demolition machines, crushers and street cleaning machinery. The high pressure water mist binds the dust and prevents it from spreading to the environment. It consumes a minimal amount of water and it doesn’t water the worksite as the low pressure systems do. High Pressure Pipe Cleaning Unit converts the hydraulic power of a vehicle into high pressure water. High pressure water jets clear blockages, clean pipelines, drains, sewers, storm drains, culverts and can be used for de-icing, flushing etc. A water pistol with an additional hose reel allows cleaning the vehicle and equipment. PPL can also work as an independent unit when it is easy to attach and switch between machines. Great for vans, trucks, loaders, farming machines etc. Hydraulic Magnet Generator converts the hydraulic power of a recycling and demolition machine for powering a lifting magnet. The compact and powerful HMG generator with the world’s fastest demagnetizing time 0.8s enables fast the metal sorting. Perfect for scrap metal material handler. Hydraulic Magnet is a combined unit of lifting magnet and power supply. HMAG is connected to machine’s hydraulic circuit with hydraulic hoses. It is a true plug-and-play attachment for metal sorting and recycling. Hydraulic Vibra converts the hydraulic power of an excavator or a backhoe into vibration for a bucket. The vibra can be used for enhancing excavation, emptying a bucket, compacting soil, pile driving, asphalt cutting etc. Hydraulic Generator converts the hydraulic power of a fire engine, rescue or an army vehicle and machine into electricity. With HG, electricity is available for various rescue tools, lights, pumps, cutting applications heaters, battery chargers etc. HVG POWER BOX is an all-in-one system which utilizes the engine power of a vehicle to produce electricity. 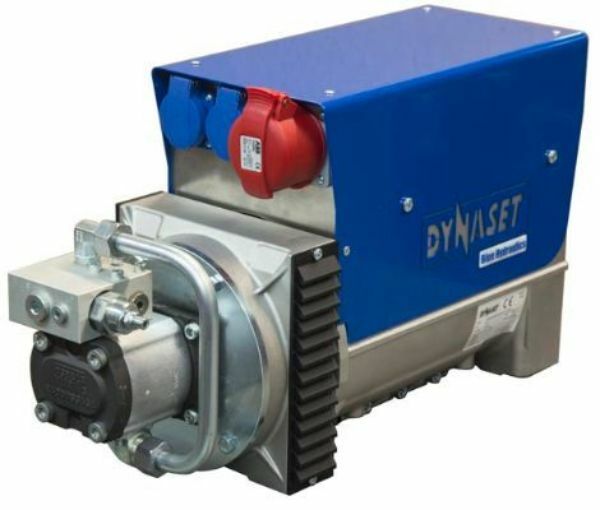 The PTO provides power for Dynaset High Speed Hydraulic Pump which operates smoothly on a wide RPM range, from idle to full speed. There are numerous HGV applications such as container transport, heating, cooling, powering electric tools, lights, battery chargers etc. HVG System utilizes the engine power of a boat or other vehicle to produce electricity. 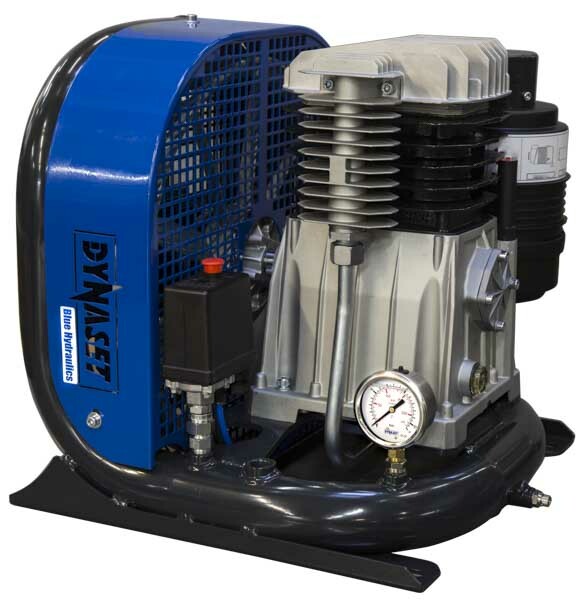 The vehicle’s engine provides power for the Dynaset variable hydraulic pump which operates smoothly on a wide RPM range, from idle to full speed. The pump produces hydraulic oil flow to the hydraulic generator which converts the hydraulic power into electricity. There are numerous HGV applications such as container transport, heating, cooling, powering electric tools, lights, etc. Hydraulic Power Washer converts the hydraulic power of any vehicle into high pressure water. Small size and light weight allow easy installation on fire engines, rescue vehicles, ladder trucks, boats, tractors, vans, trucks etc. The hydraulic powered street washing unit is a perfect attachment for street cleaning. The unit is powered by hydraulics. Wide selection of quick couplings makes it easy to attach on various machines. The unit includes a washing pistol for power washing. Use it on loaders, mini loaders, tractors, trucks, street sweepers etc. A handy application for street washing during military exercises. 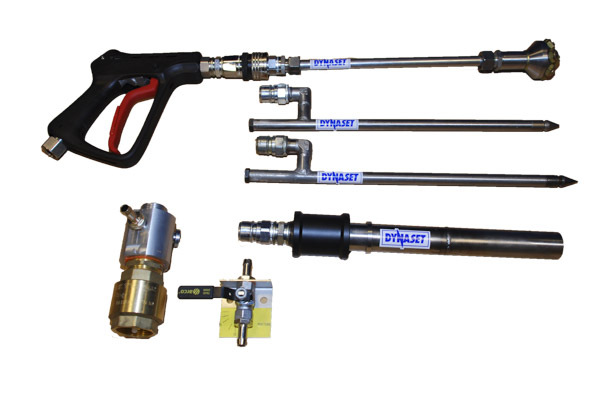 The DYNASET FP Firefighting Piercing Kit extinguishes a fire by piercing windows, light walls and roofs and spraying high pressure water mist to the fire. It enables firefighters to safely enter the building. HPW-FIRE system products provide world-class firefighting pistol, piercing kits and number of rescue and firefighting equipment. All products are compact and easy to install. They can be installed into any hydraulic system in any firefighting vehicle or rescue vehicle. 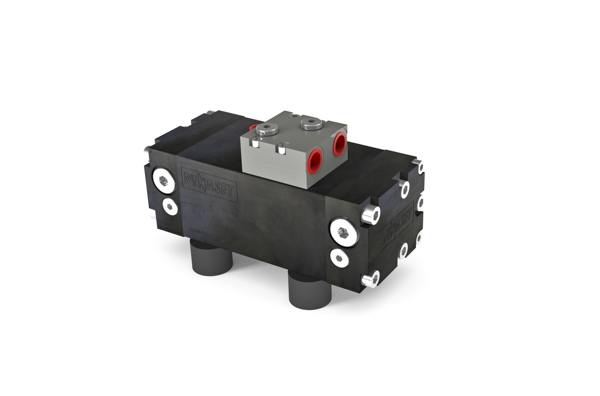 Hydraulic Pressure Intensifier is a power booster for hydraulic cylinders. It significantly increases the cylinders force momentarily. It is used for powering tools such as hydraulic wedges and cutting tools. Hydraulic Generator converts the hydraulic power of any machine into electricity. Electricity is available for tools, lights, welders, pumps, heaters, battery chargers, etc. HVG POWER BOX is an all-in-one system which utilizes the engine power of a vehicle to produce electricity. The PTO provides the engine power for Dynaset High Speed Hydraulic Pump which operates smoothly on a wide RPM range, from idle to full speed. There are numerous HGV applications such as container transport, heating, cooling, powering electric tools, lights, etc. HVG System utilizes the engine power of a vehicle to produce electricity. The PTO provides the engine power for Dynaset High Speed Hydraulic Pump which operates smoothly on a wide RPM range, from idle to full speed. There are numerous HGV applications such as container transport, heating, cooling, powering electric tools, lights, etc. Hydraulic Power Washer converts the hydraulic power into high pressure water. High Pressure Water is used in paper mills for water cutting of cardboards, cleaning paper drums and heat exchangers. Reliable, powerful and durable solution for all high pressure water applications. Hydraulic compressor converts the hydraulic power of any machine into compressed air for pneumatic tools, cleaning and other compressed air applications. Hydraulic Directional Vibra converts the hydraulic power of a mobile machine into vibration to enhance material flow on a conveyor. 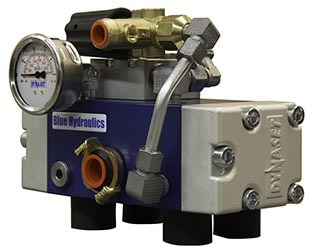 Hydraulic Pressure Intensifier is a power booster for cylinders. It is significantly increasing cylinder force momentarily. It is used for powering tools such as hydraulic wedges, pressure testing, cutting tools. Hydraulic Power Take-off (PTO) takes power out of a vehicle's engine to power hydraulic system for hydraulic equipment and tools. HPTO uses its own patented belt drive mechanism for power take-off from engine to hydraulic pump. 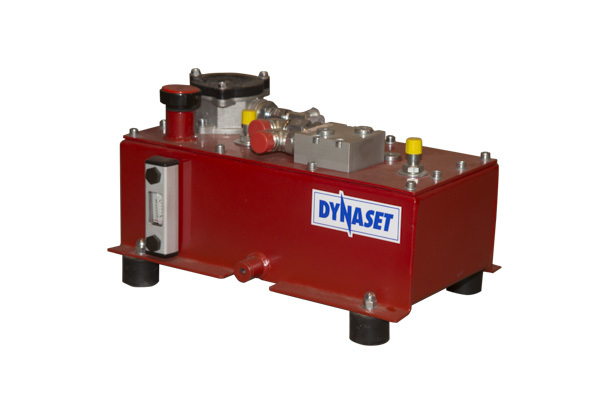 DYNASET provides all the necessary installation valves for integrating hydraulic equipment on trucks, vehicles and all mobile machinery. 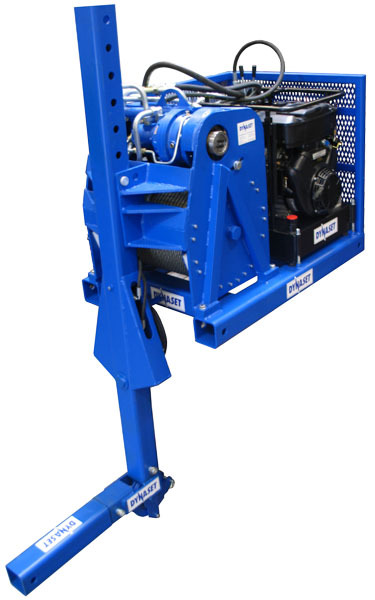 Hydraulic Power Unit produces hydraulic power anywhere you need. The standalone unit is powered by a gasoline, a diesel or an electric motor. 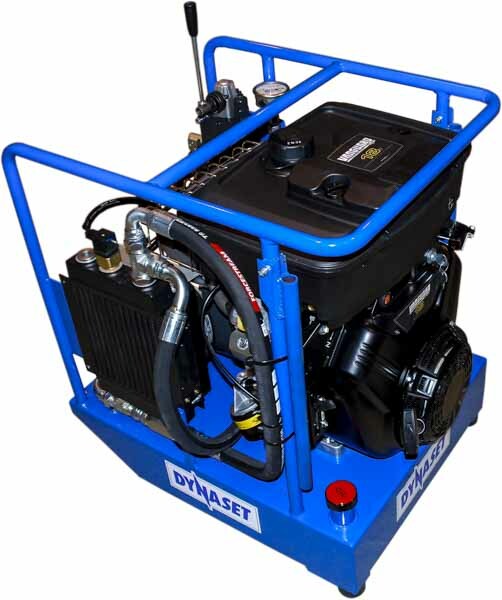 The power source is connected to powerful Dynaset hydraulic pumps to produce hydraulic power for all hydraulic applications. Hydraulic Generator converts the hydraulic power of a boat or other transport vehicle into electricity. With HG, electricity is available for various tools, lights, heating, cooling, battery chargers, etc. HVG POWER BOX is an all-in-one system which utilizes the engine power of a vehicle to produce electricity. The PTO provides power for Dynaset High Speed Hydraulic Pump which operates smoothly on a wide RPM range, from idle to full speed. There are numerous HGV applications such as container transport, heating, cooling, powering electric tools, lights, etc. HVG System utilizes the engine power of a boat or other vehicle to produce electricity. 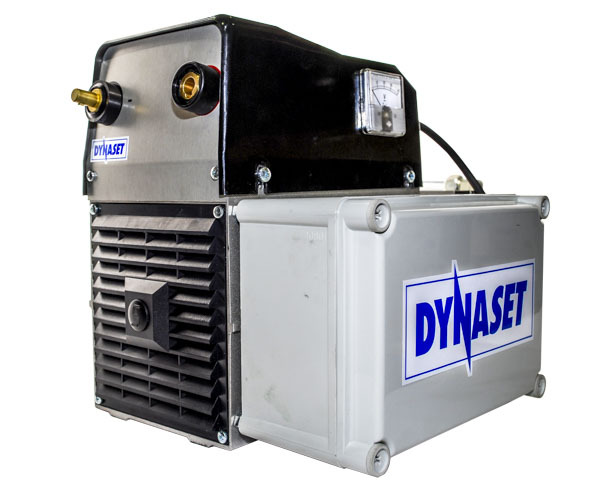 The vehicle's engine provides power for the Dynaset variable hydraulic pump which operates smoothly on a wide RPM range, from idle to full speed. The pump produces hydraulic oil flow to the hydraulic generator which converts the hydraulic power into electricity. There are numerous HGV applications such as container transport, heating, cooling, powering electric tools, lights, etc. 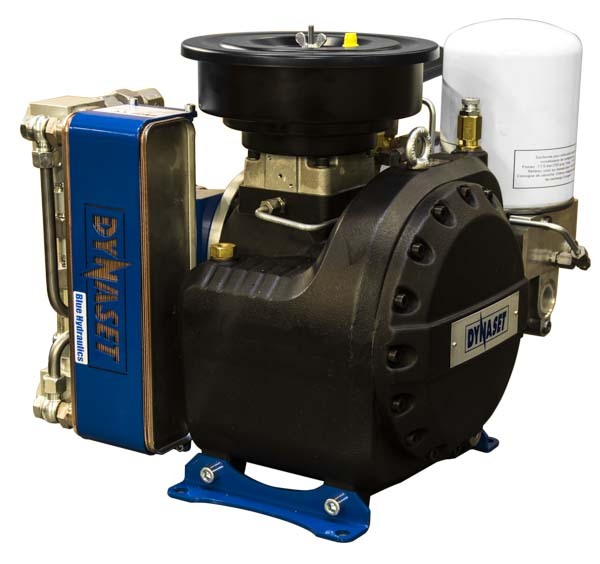 Hydraulic High Pressure Water Pump converts the hydraulic power of any vehicle into high pressure water. Great for hydro demolition, water hydraulics, ROV units, BOP valve cylinders, power washing etc. HPW pumps can also be used in series and parallel to get even greater water flow and pressure output. Hydraulic Submersible Pump is designed for fast and efficient pumping of water and other liquids. Powered by hydraulics, robust structure and durable. Great dewatering pump for a high volume of water. Hydraulic compressor converts the hydraulic power of a platform lift into compressed air. 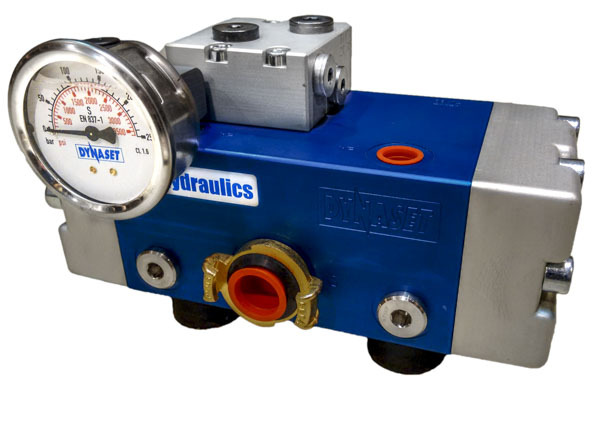 Hydraulic Pressure Intensifier is a power booster for cylinders. It significantly increases the cylinder force. Suitable for ROV unit tools and other small hydraulic units.